Palm Jumeirah is the world’s largest man-made island; even though it is not just an island but more of an archipelago that consists of a two kilometer long trunk, a crown made up of 17 fronds and a surrounding crescent. The Palm Jumeirah was created by Nakheel, the Dubai-based property developer, on reclaimed land. the Palm Islands are Palm Jumeirah, Palm Jebel Ali and Palm Deira. The islands extend for 520 kilometers into the Arabian Gulf from the Dubai shoreline. Palm Jumeirah includes 4000 exclusive luxurious villas and a lot of amazing spacious apartments, needless to say that all of these villas enjoy marvelous sea views. You are practically living in the see! Villas for rent in Palm Jumeirah offer a wonderfully luxurious experience.it is one of Dubai’s most desirable addresses for a lot of reasons, the incomparable lifestyle is only one of them. In addition to villas and apartments Palm Jumeirah also include an impressive collection of five-star hotels and resorts, including the renowned Atlantis hotel. The Palm is one of Dubai’s iconic landmarks, it has broken and made several world records thanks to the unique palm like design. It is also viewable from space! Villas available for rent in Jumierah Palm start from four-bedroom villas, five-bedroom villas, six-bedroom villas and even seven-bedroom villas. Each frond has a private gate with 24 hour security. 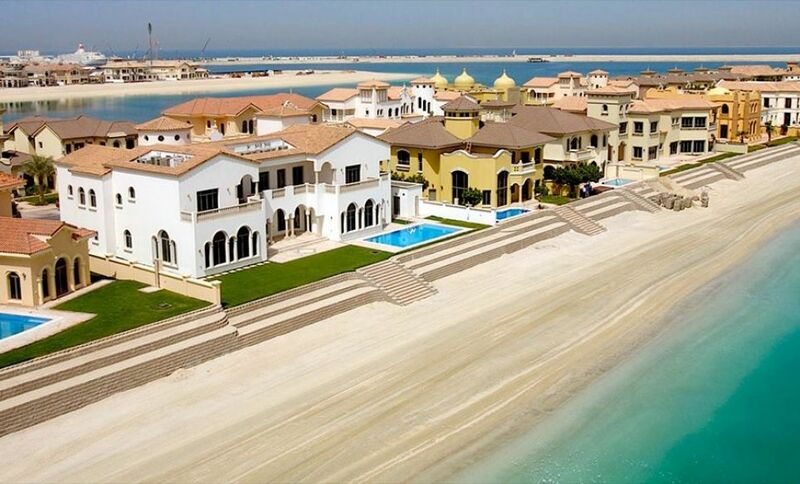 You can find unfurnished Villas, semi-furnished villas and fully-furnished villas for rent in Palm Jumeirah. The Palm Jumeirah is one of Dubai’s most luxurious developments, and one of the most popular projects. Thousands of people love living in the luxury villas situated on its many fronds. Renting villas on The Palm is very popular with expat families, as well as citizens.Villas for rent in Palm Jumeirah start from 300,000 AED until 2000,000 AED. But the lifestyle offered is worth all that and more, renting a villa on the Palm Jumeirah is a unique experience; you would really be living in world icon. Who wouldn’t want to live in one of the world’s most recognizable icons? Palm Jumeirah is a spectacular, iconic, residential and tourism destination. Living in Palm Jumierah allows you access to the islands’ amazing facilities such as several sophisticated beach clubs, each with its own great facilities like swimming pools, gyms and restaurants. There is also the beautiful shoreline park on the trunk section of Palm Jumeirah. Sheikh Zayed Road is within reach so moving around and going to other parts of Dubai is fairly easy. 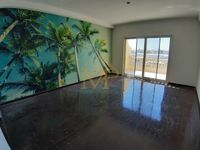 Villas for rent in Jumeirah Palm are spacious and exquisitely designed with excellent materials and wonderful finishes. As well as private pools! The island itself offers green gardens and access to the sandy shores of each frond, just like having a private beach! Who wouldn’t love that! Renting a villa with a private pool, a beautifully landscaped garden and a beach that is as good as private and close to Dubai’s active lifestyle is a perfect lifestyle all in all.